I have been the white, Christian, woman wanting to understand and I am still the white woman, Muslim, now better educated about the diversity in the world and the Muslim community I am now a part of. My wonderful Gender Studies professor, Ashley Simons-Rudolph, was living in Egypt, teaching NC State University Women’s and Gender Studies courses online and teaching in-person at The American University of Cairo. As her student, I was sent an email with information about the day and in the remote and in-class students discussed ‘Beyond the Veil’. Her goal was to introduce her American students to Muslim women through something they could visually see and physically feel like the headscarf, then introduce them to the everyday struggles of the Muslim women she lived with in Egypt. After many class discussions, I went to the Muslim Student Association’s ‘Beyond the Veil’ event (even though I did not have on campus classes so I did not wear a hijab for the day). I met a more diverse Muslim community than I have ever imagined. All my previous knowledge of Islam, my experiences with Muslim friends and family, and everything I was learning about at school came to a head when the panelist of Muslim women hijabis and non-hijabis told their stories as Muslim women. Between February and May, I researched Islam more, attended MSA gatherings, and had many discussions with my priest. I soon converted to Islam and started to wear hijab. In the fall, I started meeting with Ashley in her new role of Department Head and Women’s Center Director. She told me her experience from when she was first put in charge of World Hijab Day. Then, she pointed out that I am an outsider looking in, because I will never be born-Muslim, so I can understand both sides to the situation. I know what it is like to desire to walk in someone else’s shoes. I have been the white, Christian, woman wanting to understand and I am the still white woman, Muslim, now better educated about the diversity in the world and the Muslim community I am now a part of. It’s been over 3 years that I’ve been a Muslim and a hijabi. I still support this event because it is still a bridge for non-Muslim women to connect to us. 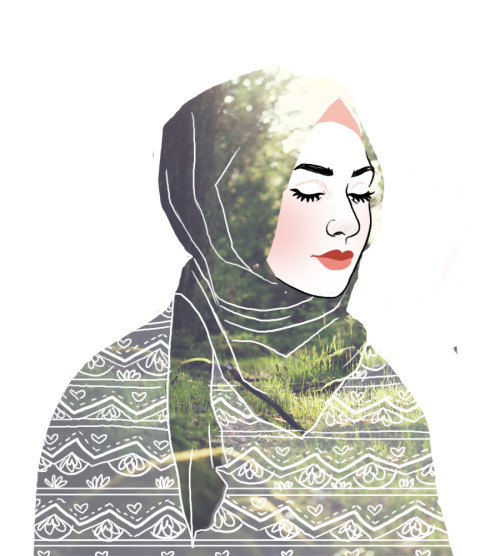 Last year I even contributed to the World Hijab Site, about my first day wearing a hijab as a Muslim. Since then I have given many lectures and presentations to non-Muslims at schools, Universities, and Girl Scout troop meetings on Islam and the hijab. I have found the students who try on the hijab and take a moment to see themselves in it, are more likely to ask me questions, read literature, and frequently contact me to get their own copy of the Quran to read. I can understand having an opposing opinion, and I can see how many people may feel that World Hijab Day is just a day to play dress-up by wearing a costume, but I sincerely feel that this is a great opportunity to share Islam with non-Muslims and have a meaningful discussion that goes beyond the veil.